Last week the Trump administration rolled out its first budget proposal. Included in the proposal were deep cuts to the Enviromental Protection Agency (31.4%); State Department (28.7%); Labor Department (20.7%); Agricultural Department (20.7%); U.S. Army Corps of Engineers (16.3%) to name a few of the double digit agency reduction and not to mention program cuts and other programs which the Trump administration proposes to zero out or eliminate. The budget proposal also include a 10% increase, to 54 billion, in the defense spending. No further specifics were offered by Mr. Mulvaney because it was the end of the program. However, Mr. Mulvaney seemed to show a lack of understanding of the Americans who are the most vulnerable in our country, disabled workers who are too sick or injured to work any longer but who are too young for Social Security retirement. 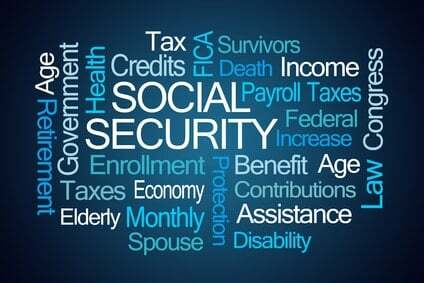 He likely did not know that the average of a disabled American in 2015 was 53.9 years of age (Fast Facts and Figures About Social Security, 2016). Or that disabled workers, actually pay a premium out of their weekly pay check to FICA (Federal Insurance Contributions Act) or if self- employed, to SECA (Self-Employment Contributions Act). He probably did not know that the majority of people who apply for Social Security disability are denied making the people who receive benefits the sickest or the sick. He did not mention that Social Security disability recipients, receives, on aaverage $1,166 a month. Nor did he say that of the 5.4 million persons who were awarded Social Security benefits; 52% were retired workers and 15% were disabled workers. The remaining 33% were survivors or the spouses and children of retired or disabled workers. American workers rely, not only on the knowledge that when they reach retirement age they will be able to secure what they paid into, but if they do not reach retirement age due to a sickness causing them to be disabled tat they will still be able, at some level to support their family and themselves. The Trump administration, has like other Republican administration in the past, place the Corporation for Public Broadcasting and with it Big Bird on the chopping block. Never before, has an administration try to separate American workers from their disability insurance safe harbor. To launch an attack against the weakest, sickest and poorest Americans is beyond the pale.